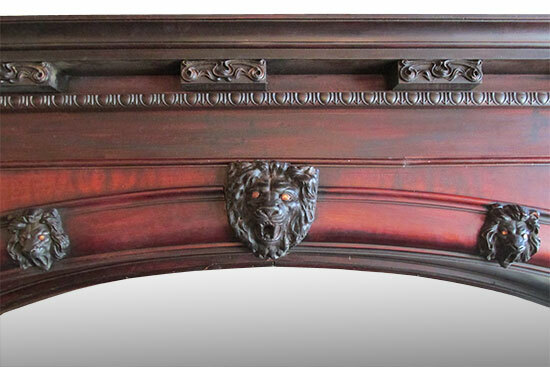 The “Mont Oro” is an impressively detailed 20-foot, 8-inch, mahogany backbar made by Brunswick, and its beauty is as classic as its name. 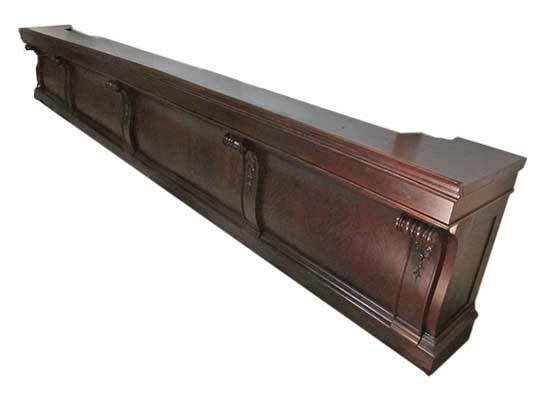 And this set also includes a beautiful, 22-foot-wide Brunswick front bar, with a brass front rail. 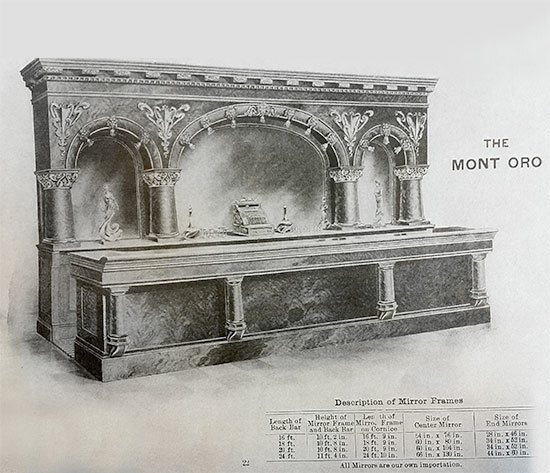 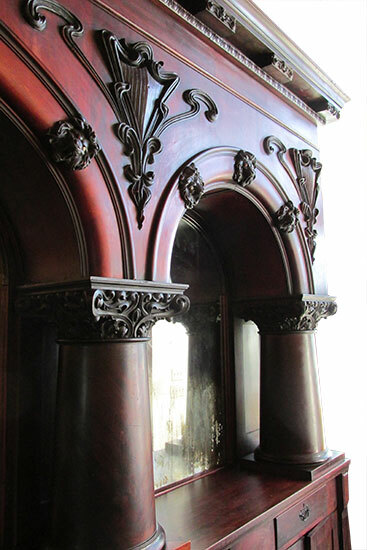 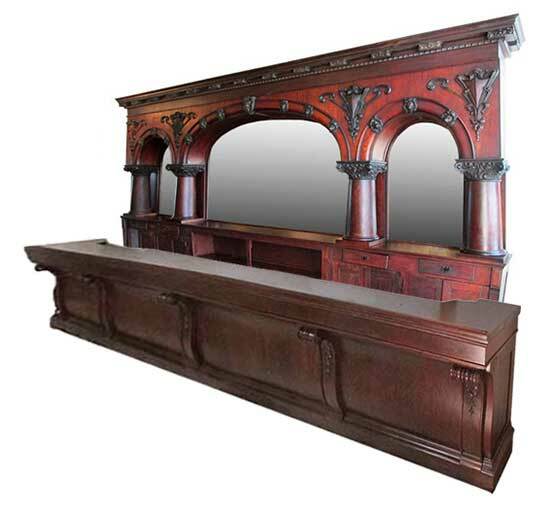 The “Mont Oro’s” back bar design includes triple arches, supported by four burled columns, with carved capitals, and decorated with 13 lion heads. 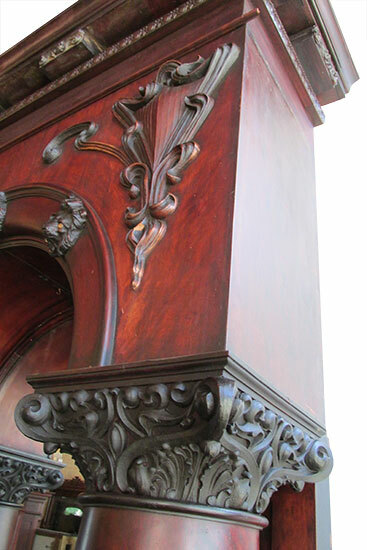 Structural details for the Brunswick front bar include four evenly-spaced curved front panels with support beams, including floral scroll designs and lathe work. 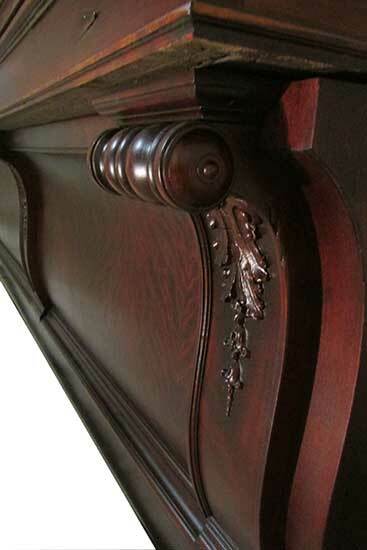 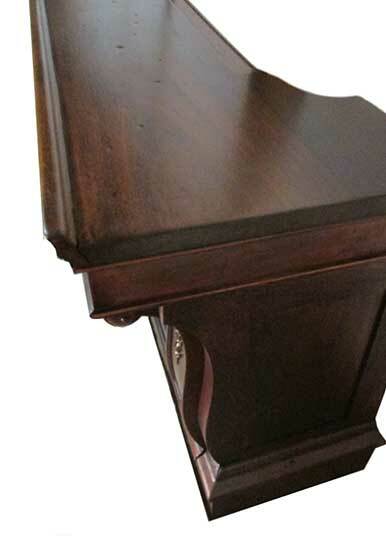 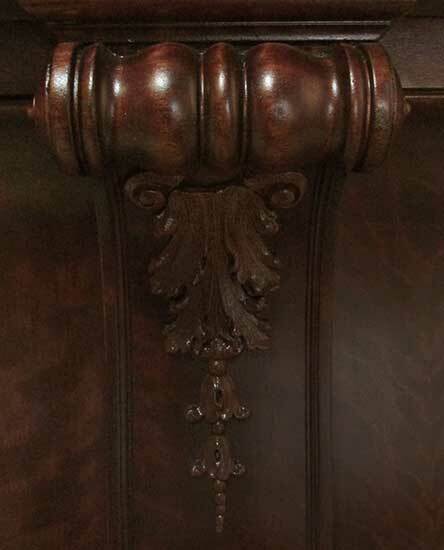 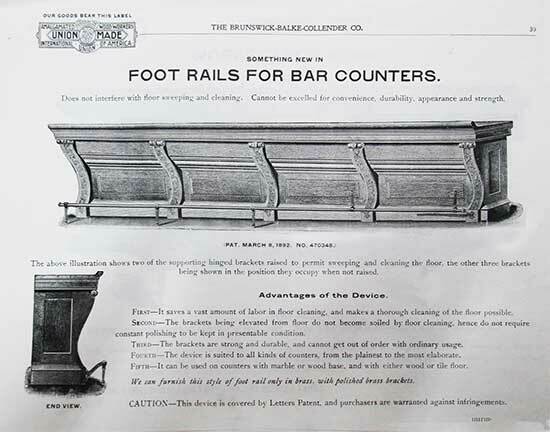 Additional classic feature is a Brunswick brass foot rail (see catalog image in image gallery).